The ELAINE RYAN® COLOR BARS is a COLOR MATCHING SYSTEM unlike anything you may have used or seen before. Think Deal-A-Meal® for color matching, because all of the colors in the entire universe were pre-matched for you! The Elaine Ryan® Color Bars have been a fixture in the marketplace for over 20 years by DIY'ers and Interior Designers for effortlessly and correctly selecting compatible colors in homes and offices nationwide. The Elaine Ryan® Color Bars consist of two fans of colors. There are Even-Numbered Colors and Odd-Numbered Colors. All of the Evens go with the Evens; all the Odds go with the Odds. (You never want to mix Odd colors with Even colors, and it's not about warm and cool colors. That's the secret to our system.) There are 32 colors on each fan, and 4 of every color across the board. (Red, Green, Blue, Yellow, Purple, Orange, Grey, and Brown). 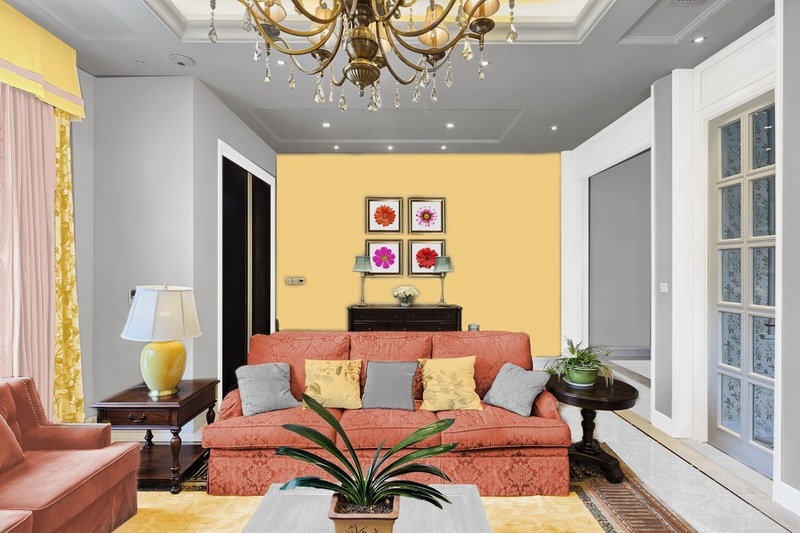 So, let's say that you have a green sofa in your living room, and now you want to add other compatible colors to your room decor. Then you go shopping. What's great is that the only thing you need to bring with you for selecting paint colors, accent pillows, drapery, upholstery, rugs, artwork, etc. is your Odd-Numbered Fan. That's because as long as the most predominate color in whatever it is you're selecting looks good with any colors in your Odd-Numbered Fan, then you can be assured that it will look great with your #13 Green. It's as easy as that!